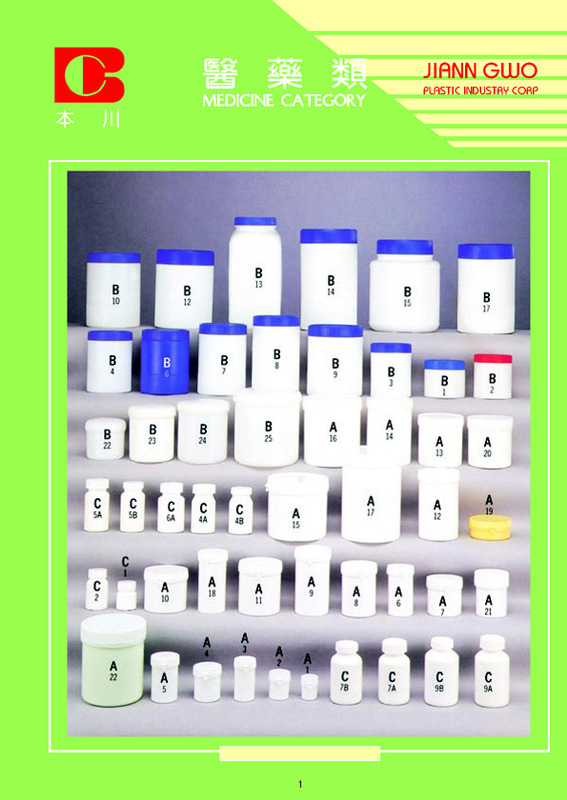 Taiwanese plastic mould, plastic paking contaiuers, chemical, foods medicines, cosmetic, bottles.-Jiann Gwo Plastic Industry Co., Ltd.-Commerce Manufacturer Machinery Taipei China Asian Pacific R.O.C. 建國塑膠工業股份有限公司 Jiann Gwo Plastic Industry Co., Ltd.
公司 : 台中縣太平市411鵬儀路298, No. 298, Peng Yi Rd., Taiping City, Taichung Hsien, Taiwan, R.O.C.